With the 2016 Olympics being held in Rio de Janeiro, Fogo de Chão wanted to capitalize on the buzz about Brazil. The challenge? Avoiding the many words and phrases trademarked by the USOC. Three campaign ideas (below) were developed to bring Brazil a little closer to Fogo de Chão's customers across the US. Ultimately, they combined certain ideas from each of the campaigns into an online platform that provides Brazil-themed information and entertainment. See it here — and read about its impact here and here. 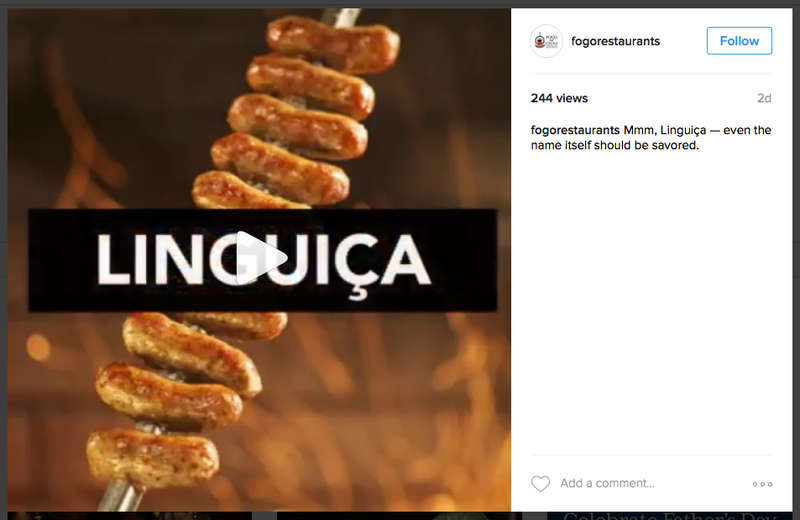 Here are a few examples of social posts and animated banners created for Fogo de Chão.